Based 10 minutes from Darlington, 45 minutes South of Newcastle, minutes from the A1 and just a mile from Croft Motor Racing Circuit, The Classic Workshop Ltd is a one stop shop for all of your classic and vintage car needs. 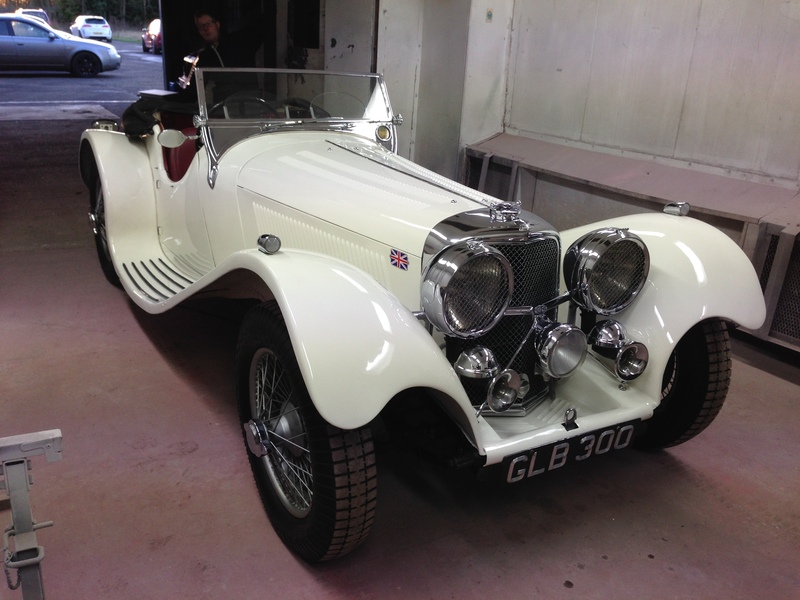 As a young organisation we combine over 100 years of expertise and experience in the repair and restoration of all eras of classic and historic motors with enthusiasm and investment into cutting edge restoration technologies. We keep our clients up-to-date with detailed information about their cars progress and ensure that all descisions are discuessed before any work is carried out. The Classic car workshop boasts state of the art shotblasting and powder coating workshops, as well as woodwork, paint work, repair, refabrication in aluminium and steel. 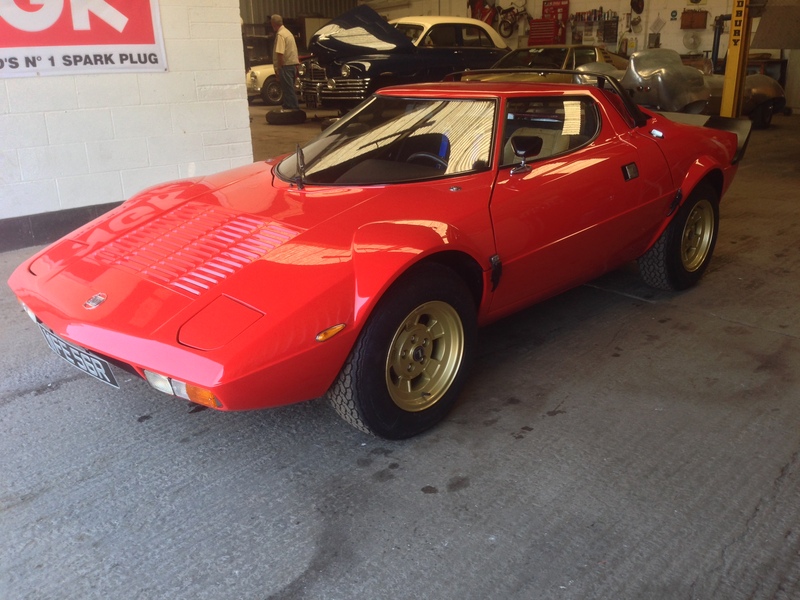 We can offer services from simple repairs to ground up restoration or kit car assembly. 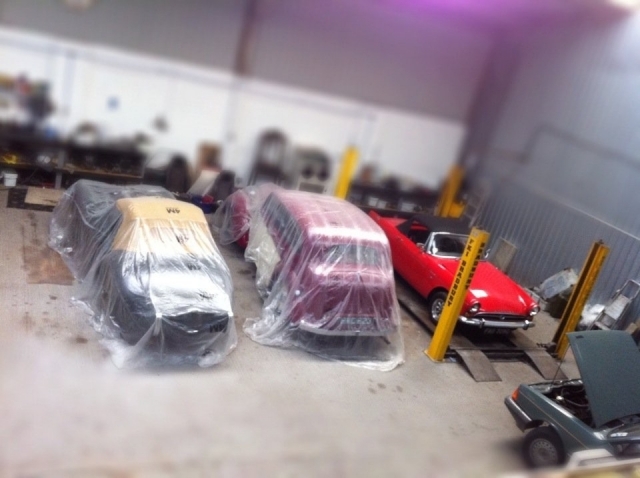 Our well equipped workshops cover more than 6000 square feet and are equipped with a fully comprehensive intruder alarm system to ensure the cars we work on are kept in a safe and sound environment. They are also fully insured and covered by a round the clock CCTV system, both internal and external. 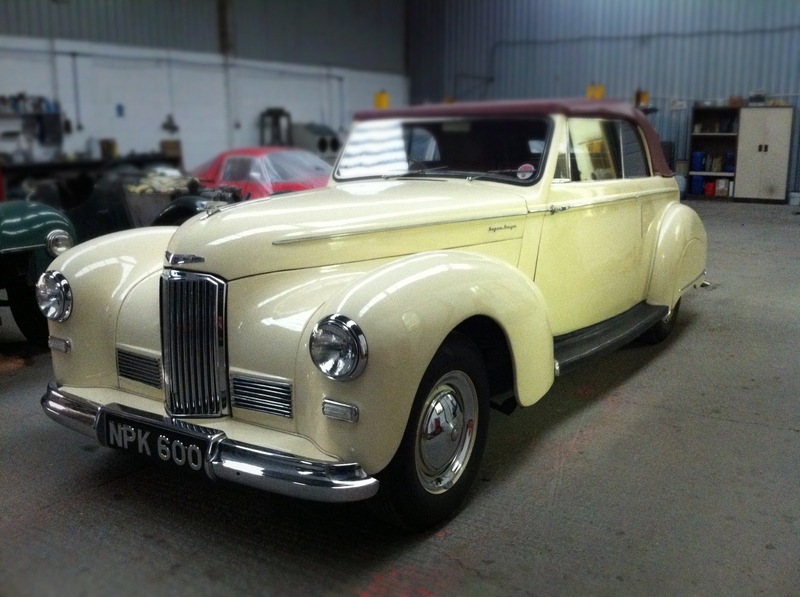 From English Classics to American Hot Rods The Classic Car Workshops skilled team of craftsmen are experienced in all makes and models; along with a meticulous eye for detail and a wealth of combined team knowledge. Our rates are extremely competitive and we strive to ensure they are tailored to suit your budgets. Photographic records sent via email. 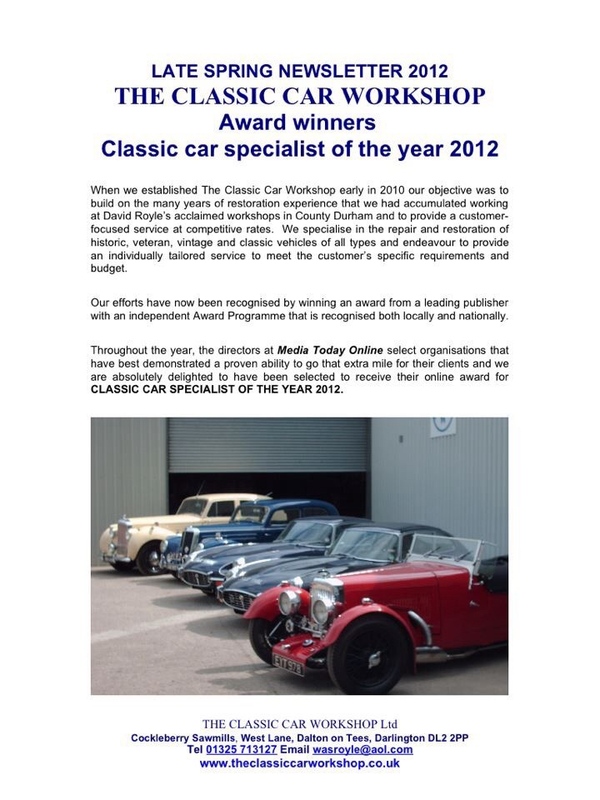 We were delighted to be awarded the Online Award for Classic Car Specialist of the 2012. 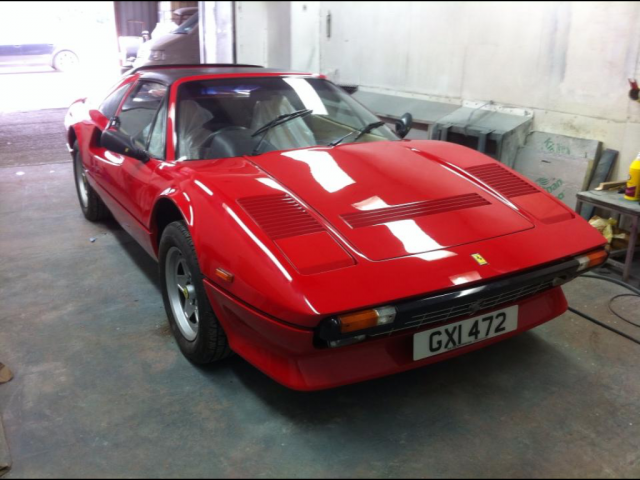 Winners online award for classic car specialist of the year 2012. 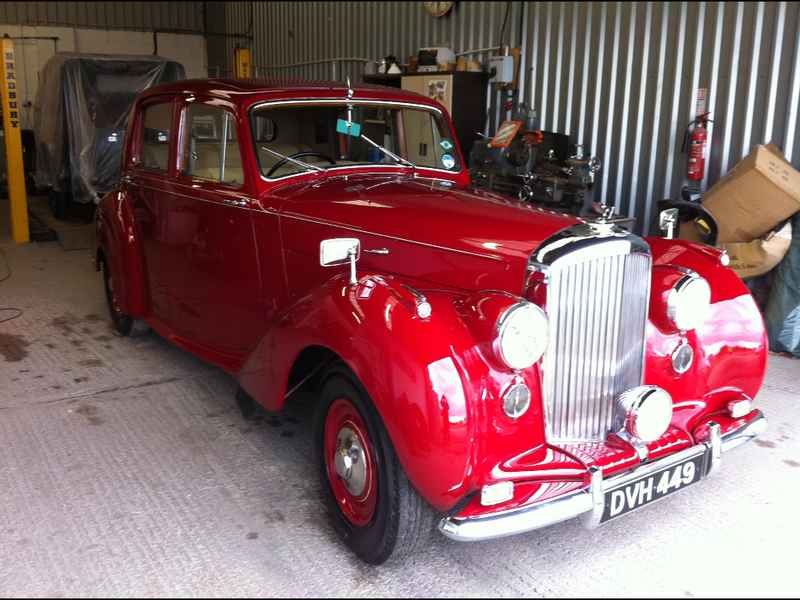 Please do not hesitate to get in contact with us for more information on any of our classic car services – we are here to help you and your car!